When Volvo launched its 240 family car in 1981 with a turbo engine, it opened up a whole new market for the company. It demonstrated that Volvo was capable not only of building safe, durable cars, but that they could also be fast and fun to drive. With turbocharging, the robust B21ET 2.1 litre engine generated 155 hp, which meant the 240 Turbo could do 0-100 km/h in 9 seconds and had a top speed of 195 km/h. The 240 Turbo Estate was the world’s fastest estate car. In 1982, new international Group A regulations were introduced. Cars to be used in competition were to be taken directly from the assembly line and the number of modifications was to be limited. In order to compete in line with the Group A regulations, at least 5000 cars of the model type in question had to be built each year. They had to have at least four seats and the minimum weight was related to the engine capacity. The regulations suited the Volvo 240 Turbo perfectly. The regulations also required at least 500 so-called evolution cars to be built - which was why the 240 Turbo Evolution was created. In July 1983 the 500 cars were lined up for an inspection to ensure they were uniform - split across two fields in the USA, one on the west coast and one on the east coast. The cars had bigger turbos, modified engine control systems and Water Turbo Traction – which involved water injection into the intake, an invention developed and patented by Volvo. 1984 was the year in which the 240 Turbo began to compete for real in Group A racing. Volvo was responsible for the construction and ensuring that the required components were uniform. Competition was handled by independent teams. The first year’s dividend was two wins. Swedes Ulf Granberg and Robert L. Kvist won in the ETC event at Zolder in Belgium, while compatriot Per Stureson won at the German Norisring track in the first season of DTM. Volvo’s focus expanded in 1985. Now two teams were contracted to operate as a factory team. These were intended not only to beat competitors such as Rover and BMW, but also to compete against each other. The Swiss Eggenberger Motorsport team participated in ETC under the name of Volvo Dealer Team Europe. Their drivers were Swede Thomas Lindström, Sigi Müller Jr. from West Germany, Italian Gianfranco Brancatelli and Belgian Pierre Dieudonné. The other team in ETC was Sweden’s Magnum Racing. Ulf Granberg, Anders Olofsson and Ingvar Carlsson were their drivers. In addition to this, IPS Motorsport competed in DTM. Per Stureson had been provided with a new, competitive car for the nascent season that offered more power and better handling. 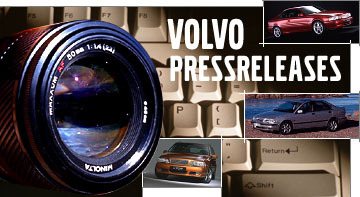 Initially, competitors and audiences found it hard to take the blocky Volvos seriously. But “the flying bricks” would soon prove their competitive edge - despite lining up against cars with significantly bigger engines like the Rover 3500 V8 and the BMW 635. 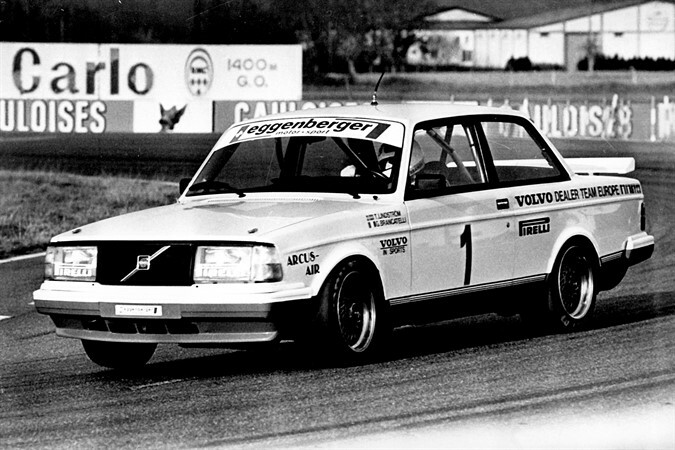 The racing version of the Volvo 240 Turbo had aluminium cylinder heads and forged pistons, connecting rods and crankshafts. The injection used a custom-built Bosch K-jetronic system and the Garrett turbo charged up to 1.5 bar. The result was that the 2.1 litre engine was generating around 300 hp and gave the car a top speed of 260 km/h. All detachable body parts such as the doors and bonnet were made from thinner metal than the production cars. The rear axle was six kilos lighter, the brakes had four piston callipers and ventilated discs. A rapid refuelling system made it possible to fill the car with 120 litres of high octane petrol in just 20 seconds. On 13 October 1985, following the race at the Estoril track in Portugal, it was all over. Volvo had won six out of 14 races and Lindström/Brancatelli had won the entire ETC series at a walk! What was more, Per Stureson won the German DTM championship after one victory and five podium finishes. 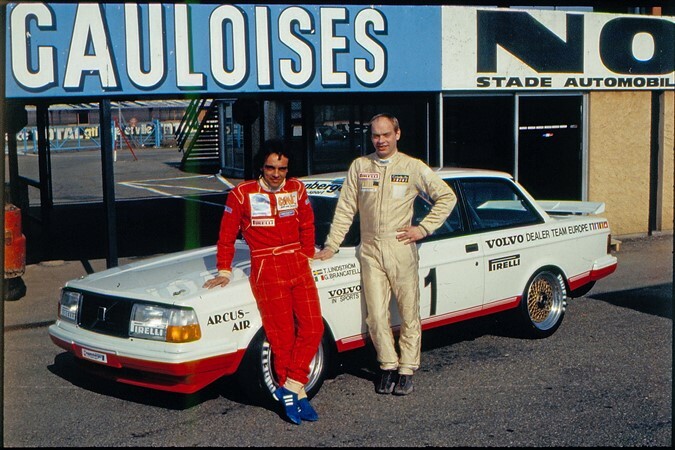 As if ETC and DTM were not enough, Volvo also won the touring car championships in Finland, Portugal and New Zealand in 1985. In addition to this, a right hand drive 240 Turbo won the Scottish rally championship in the same year.